Nestling in a small valley below the wooded slopes of Hawk Hill is the village of Nether Worton, Oxfordshire. A prominent building on the approach to the village from the north is the 17th-century farmhouse of Manor Farm, a Grade II Listed building. Renovation of the farmhouse, conversion of outbuildings and landscaping of the grounds is currently being undertaken by Faccenda Property Ltd. The dilapidated 19th-century wing on the north side of the farmhouse was demolished in 2013 and it was during the excavation of the foundation trenches for a new wing that four sections of wooden pipe were uncovered at a depth of c. 1m below ground level. 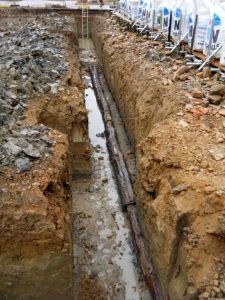 The pipes sections, which were made from elm, were up to 6m long and were tapered at one end to fit into the bore in the adjoining section. The section nearest the house had a hole in its upper surface that would have held a wooden or lead pipe that probably supplied water to a hand pump. 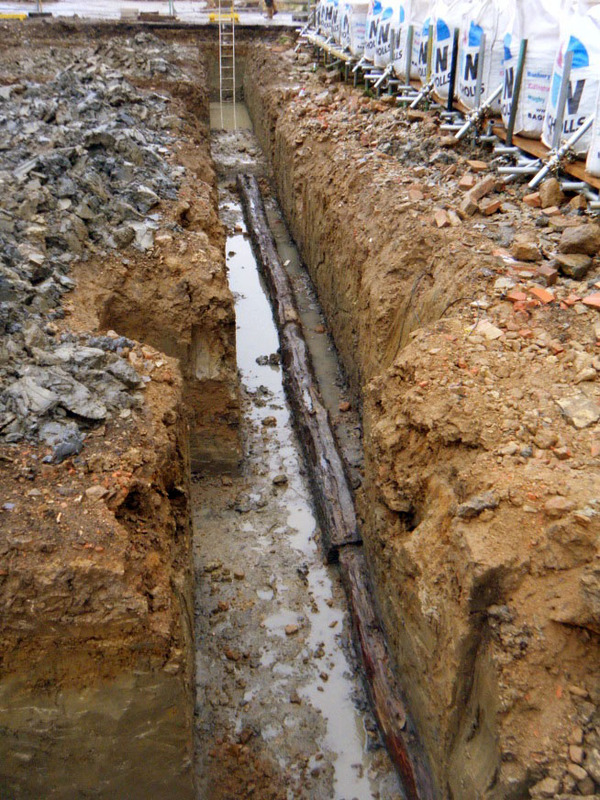 In Britain, wooden pipes have been used to convey water since the Roman period. The pipes at Nether Worton probably date to the 17th or 18th century and were installed to supply water to the farmhouse. 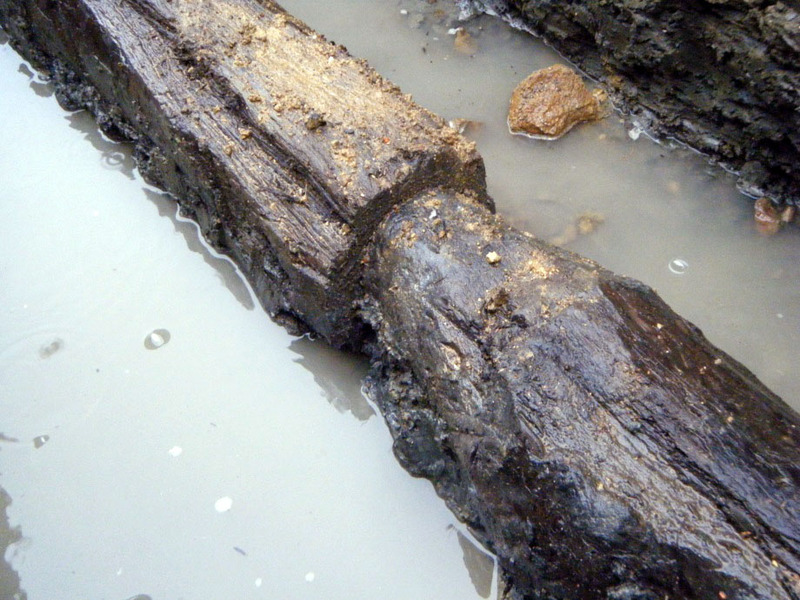 Wooden pipes, predominately made from the trunks of elms, were manufactured using a sectional pipe auger and a variety of bits and reamers to bore holes in trunks up to 6m long. The pipes from Manor Farm are fine examples of this type of wood technology.